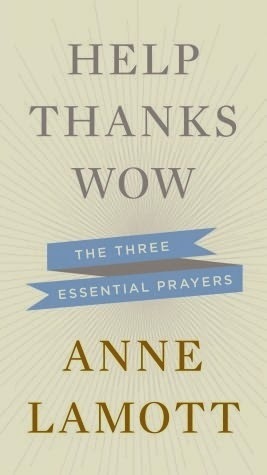 This is the kind of book that I want to force into the hands of everyone I know. My friend Jacki, who blogs at We Still Read, gave me a copy this spring and I immediately fell in love. Since it's been a whole 8 months since I read it, I'm probably do to read it again. 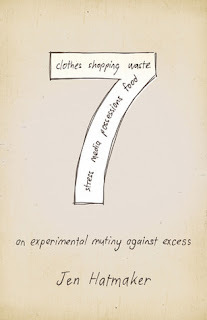 The author is a Christian and her fasts from the seven areas of excess in her life are based on her Christian beliefs, but I think the book has an appeal for a much wider audience. That said, it also contains insight into areas that I haven't seen many Christian authors address and is an important book for Christians to read. Like I said, I just want everyone to read it. This one is amazing, but not something to be picked up on a whim. It's very academic in tone and fairly deep theologically. It took me a good few months to work my way through it, and I did so with notebook and pen in hand. It was a good brain/soul workout though, and I'm glad I persevered through the difficult portions. I hope to post a review before the end of the year. Walsh is one of the few Christian authors who deals with the deeply personal and often taboo issue of depression, especially clinical depression, among believers. This book contains portions of her own story and scripture and study to help others who are dealing with depression and defeat. Isaacs is a successful actress who has struggled through the years with her faith. 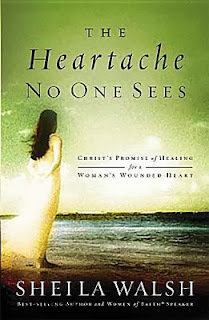 This memoir outlines the way she feels she has let God down, but also the ways she feels God has let her down. She doesn't hold back, and the authenticity in the book will, I think, touch a nerve with everyone who has struggled with God. It's also quite funny and sarcastic. This one was something of a surprise for me in terms of how much I enjoyed it. 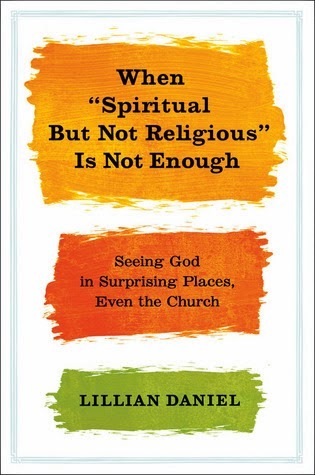 Knowing the author is a progressive liberal theologian, I was anxious that I would find essays condemning all aspects of evangelicalism. What I found instead was a very open-minded, loving approach to the church in all of its various forms and beliefs. It's a great testament to the unity that should exist between all believers. 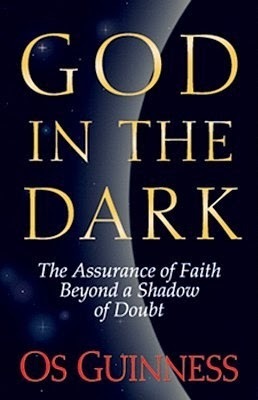 This book was kind of a foil for God In the Dark - it's short and the theology contained in it is easy to understand and very readable. 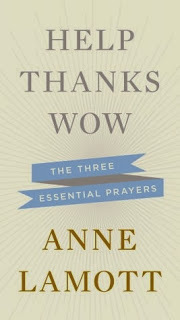 While Lamott doesn't dig too deep, she also manages to say in a very short space and in a way that anyone can easily grasp why these three prayers are so important and how they can change our lives. I was so excited to have the chance to review this one. It wouldn't have come across my radar if it weren't for the ladies at TLC, and I'm so grateful that it did. Because I am from an evangelical background, I feel like I've missed out on many of the Catholic heroes of faith. 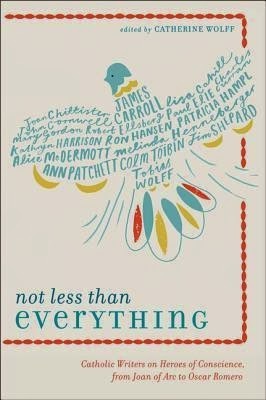 This book gave me a chance to read some beautiful essays written by some of my favorite authors about these heroes. I'm going against my own rules and including this one that I haven't finished yet, because I'm currently reading it and loving it. It's about Kent's son's arrest and conviction for murder and the effect it had on Kent and her husband. It's about losing the one thing you hold most dear and allowing God to have control over that thing. In my own life, without going into too much detail, there's a thing I'd like very much to have, that God hasn't seen fit to give (not too hard to figure out, I'm sure). I'm getting a lot from this book about giving that one thing that I want the most to God and learning to rest in the face of not knowing what my outcome will be. What about you, Reader Friends? Is there anything that needs to be added to my list for 2014? Each one of these sound amazing. 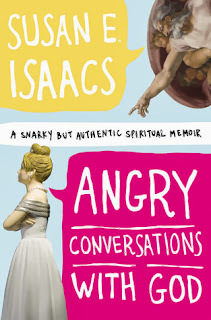 I really, really want to read Angry Conversations With God and When I Lay My Isaac Down. 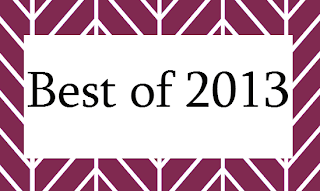 I love Best Of... lists! Great list! I read 7 this year and Angry Conversations with God a couple of years ago (it's one of my faves). I'm going to add the others to my ever-growing TBR list! I'd recommend The Faith Club and The Almond Tree. Adding them to my list now! 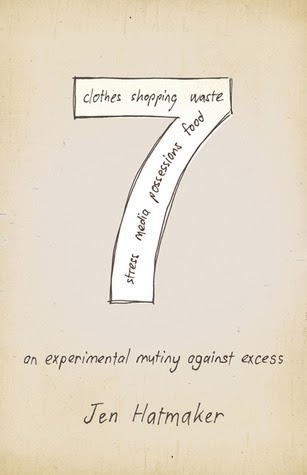 7 was excellent. I'll be adding the Isaac one to my list. Have you considered One Thousand Gifts? 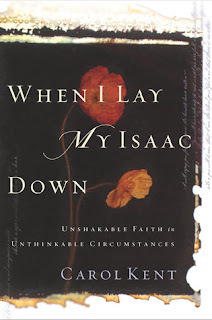 It's a heart-wrenching and thought-provoking look at grief and faith. Just about the most honest take on the topic that I've seen since C.S. Lewis' A Grief Observed.